Our backyard has a new addition! 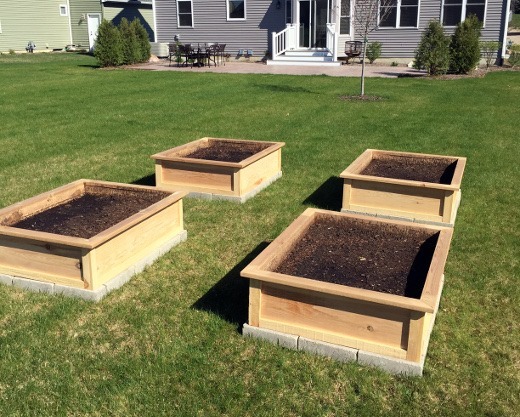 Four new raised bed gardens! 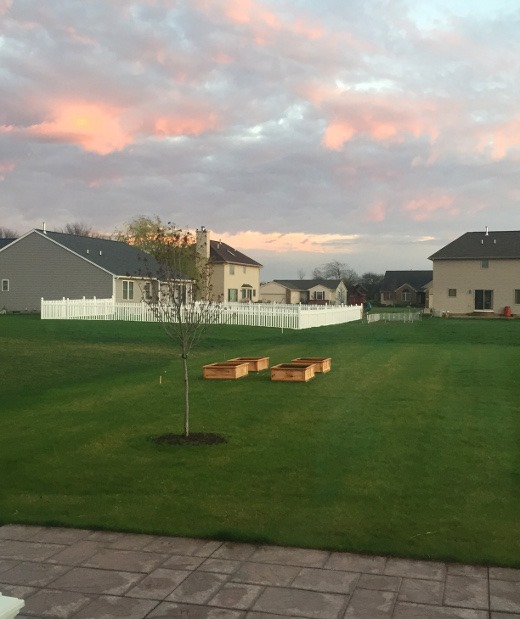 We purchased these cedar beds from a local Ann Arbor company called FarmWorks, and I’m extremely happy with them so far. 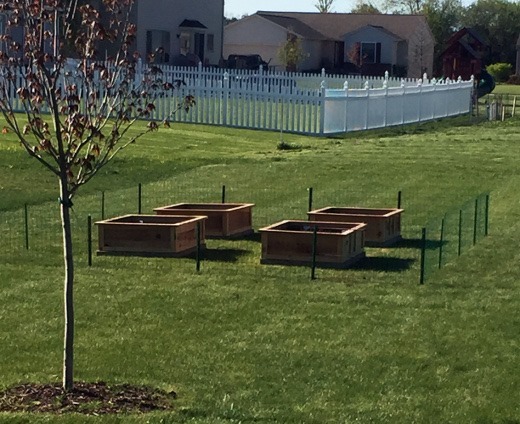 Yesterday my dad and the huz put a critter fence around the beds in an attempt to keep out the rabbits. 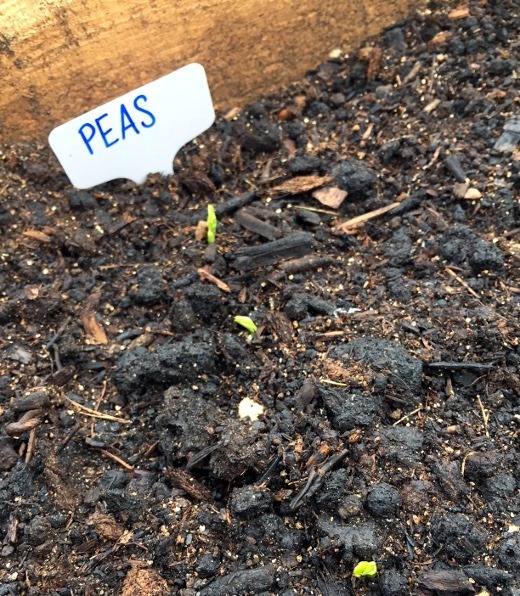 I’ve planted a few frost-resistant crops so far, including peas, carrots, spinach, and kale. 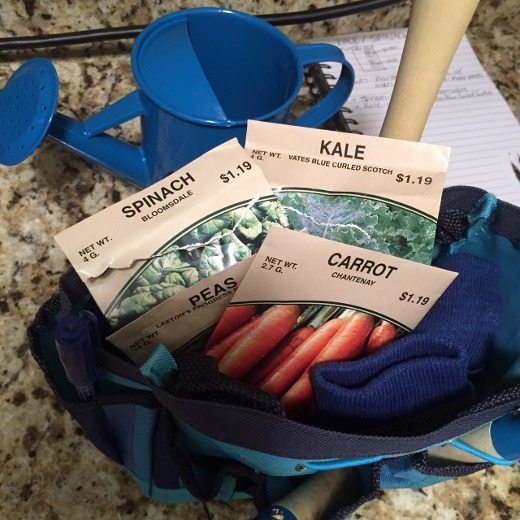 I am also toying with the idea of starting to compost at home as well, for future garden use. My biggest motivation in starting the garden was to build memories with Jack and hopefully develop of love of gardening in him as well. I have fond memories of helping out in my family garden as a kid. 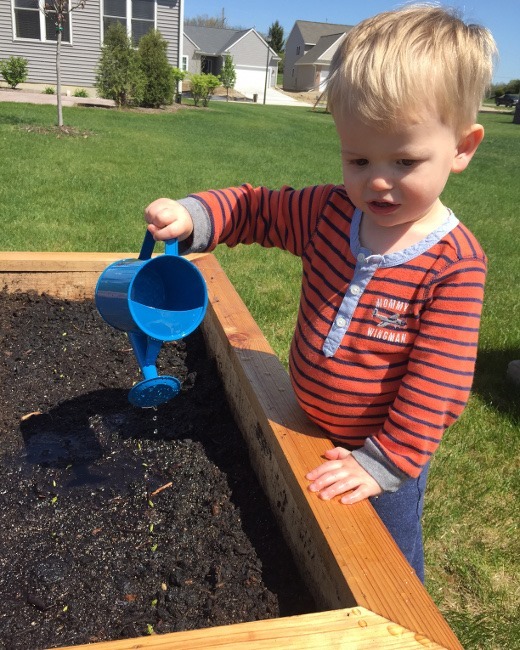 At 20 months, Jack can’t do a whole lot yet, but he loves helping out by watering our pea sprouts! I also hope to grow some tomatoes, green peppers, and herbs this summer. Maybe one or two other things? I’ll keep you posted on our garden this year! I’ve set my expectations low for the first year. This year is all about seeing what works and what doesn’t. I‘m keeping a garden “diary” as well, so I can remember when things were planted and keep track of our successes and failures for future improvements. Happy Gardening ! Enjoyed reading this post and the pics, too.